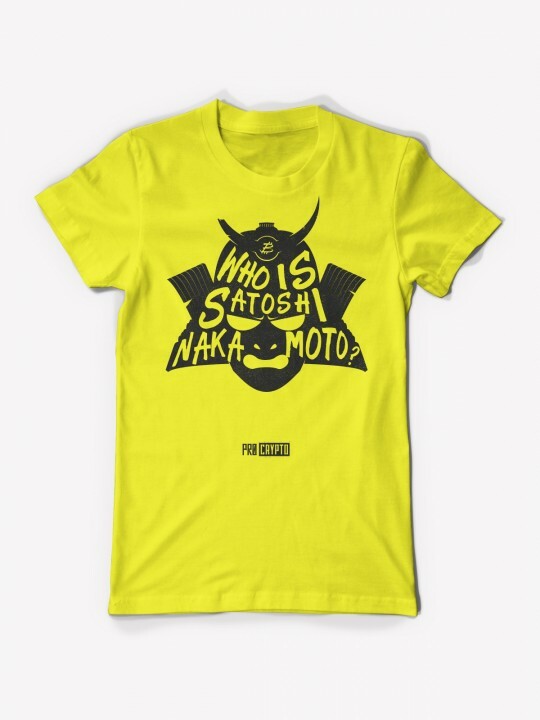 Pro Crypto Clothing > Products > Our Designs > Who Is... NAKAMOTO!? POW! Can’t miss this one! Show your colors as a warrior for a new age. 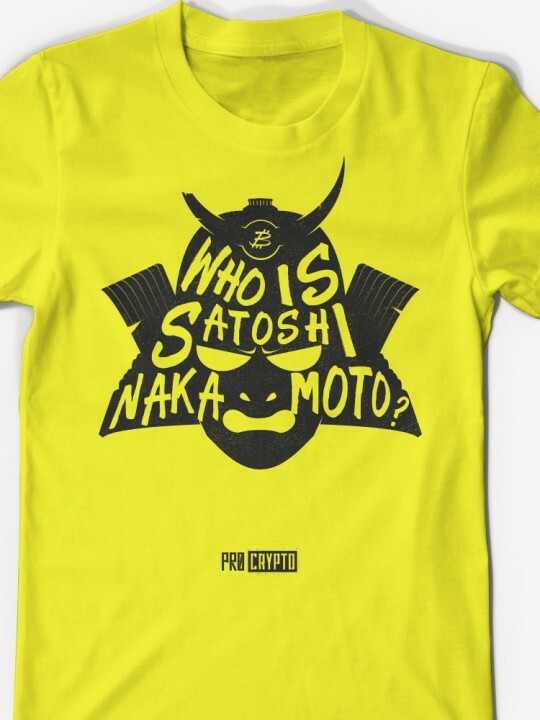 Perpetuate the mythology that is the creator of the Bitcoin protocol, Satoshi Nakamoto. Wear it with pride and don’t worry if your friends have to squint—or recoil with fear—when gazing at your garb, both bright and fierce.